You have a pool in your backyard! That’s a pretty big pro. It’s beautiful to look at, keeps your kids entertained (not to mention home with you) and cools you down on those 100 degree days. Not just your kids will want to be home, but their friends will be there too! This is a great way to get to know the people your children spend their time with. And, not just your kid’s friends will be over, but yours too! 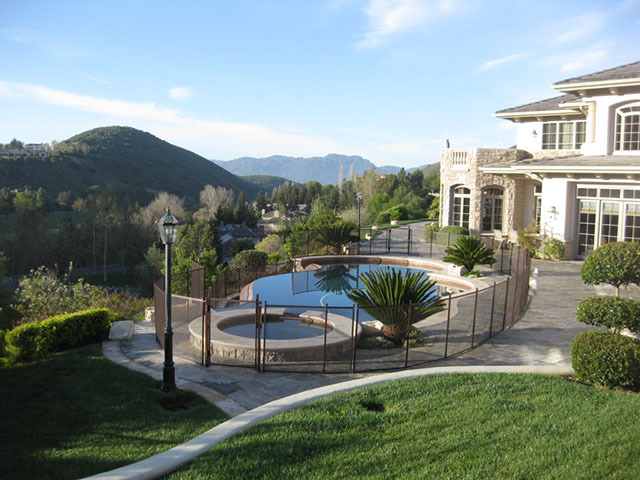 Pools are great for socializing, parties, barbeques and entertaining during the holidays. Resale! Having a pool in your backyard will increase your property value. This is awesome if you ever decide to sell you home! You have to pay for it! There are monthly costs associated with owning a pool. The maintenance costs really depend on the type of pool you have and the safety and cleaning products you use. For instance, a safety pool cover will help reduce monthly maintenance costs and solar heating will reduce your heating bill. Without these two your monthly costs will be higher. Your responsible to fix it! Unfortunately, pool equipment can break and a leak can spring and YOU have to pay for the repairs. Make sure you have a thorough pool inspections done before your purchase the home and see if you can add the pool and pool equipment to your homeowners policy. This can help detect any underlying problems or broken equipment and save you out of pocket expenses in the long run! All in all, you have to outweigh the pros and cons to determine whether owning a pool is right for you and your family. Please remember if you do purchase a home with a pool the most important factor is SAFETY!